The experience of applying for jobs can be excruciatingly disempowering. As a result, it comes as no surprise when people freeze and look for common defaults when writing their cover letters. But there is a way to interrupt the fear and loathing, and that is to focus on the “other”—or, in this case, the organization to which you are applying. Alison Green writes a regular column for U.S. News & World Report where she takes on the job search among other issues. Yesterday’s column dealt with annoying cover letters from job applicants. And, indeed, there are some very common annoyances that may (and probably should) get you dismissed out of hand as relatively dippy. 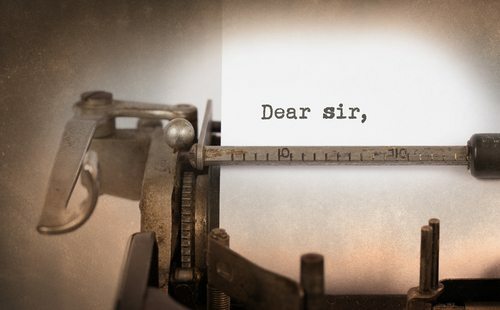 Address the person hiring you as “Dear Sir(s).” Why would anyone wish to hire an individual in this decade who freely illustrates just how dense they are about gender issues? Sounds like an accident waiting to happen and—well, just annoying! Get the organization’s name wrong, or get the job title wrong somewhere in your application. People sometimes do this if they are cutting and pasting between multiple job applications, but it results on occasion in laughable gaffes. You get what you pay for in the time you save not carefully copy-editing and tailoring. Overselling yourself as compared to other possible candidates. There is absolutely nothing persuasive in declaring yourself “perfect for the job” or “uniquely qualified.” Better that you describe the job as perfect for you, as in “I can’t imagine anywhere I would more like to work at this point.” Just be sure to get the name of the organization right. Selling yourself on the basics. “I work well independently and as part of a team.” Yes, and? Befuddling with meaningless buzzwords. That’s as applied to oneself, as in, “You will find I’m a hard-working, detail-oriented, proactive self-starter with great communication skills.” Half the time, these claims are negated elsewhere in the application, and why would anyone want someone like that around the office? Pushing for an independent meeting outside of the process. “I don’t believe a cover letter and résumé can really tell you what I have to offer, so I hope to meet in person.” Actually, if your communication skills are so darn great, you should be able to express in writing why you and that job are such a great fit.